Most medical speakers are just that, professional speakers. They “consult” but have not gotten their hands dirty in years. They are boring, bought out by a third party or just plain lousy. Look around the web all you want for a truly experienced doctor to entertain and inspire your audience and you will find, well, almost no one. Dr. Douglas Farrago has been a practicing family doctor for 20 years. He was a prisoner of two different hospitals systems and hated almost every second of it. 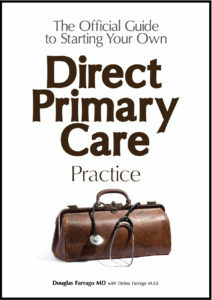 Now he is on is own doing Direct Primary Care and he has found the job of being a doctor again. He also has been blogging about the lost art of being a doctor for over a decade. You, too, can get that joy back. Dr. Farrago teaches you how. Douglas Farrago MD is the founder of the Forest Direct Primary Care in Virginia where he has left the regular insurance model and only bills patients an affordable monthly membership fee. Dr. Farrago, the physician behind AUTHENTIC MEDICINE and founder of the Placebo Journal will not only entertain your audiences with tons of laughs but also share strategies on how to deal with change in the healthcare system and how to survive the turmoil ahead. Dr. Farrago has risen to national prominence in the publishing world by providing a humorous outlet for physicians while fighting back against the medical axis of evil (pharma, lawyers, insurance, PBMs, and a whole lot more). He has been featured in the New York Times, the Washington Post, the U.S. News and World Report, the Associated Press and more! He has been giving powerful and life-changing keynote and seminar presentations to businesses nationwide over the past decade. He engages, entertains, challenges and creates a memorable experience that will inspire all.